Bouncing blueberries, eager ewes, and giggling geese! Join this lively bunch on an alphabetical tour of today’s farm. With families and schools thinking more than ever about fresh, healthful choices for the table, kids want to know about the foods they see and eat every day: Where does it come from? How is it grown? What’s the difference between a fruit and a veggie? Why don’t chickens have teeth? 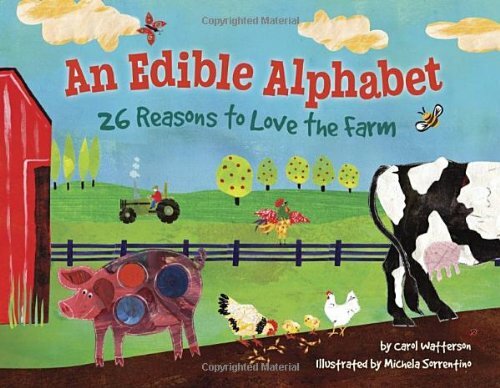 Of course there are far more than 26 reasons to love the farm. What are yours? If you have any questions about this product by Tricycle Press, contact us by completing and submitting the form below. If you are looking for a specif part number, please include it with your message.